Dogs love their owners first … and biscuits second. 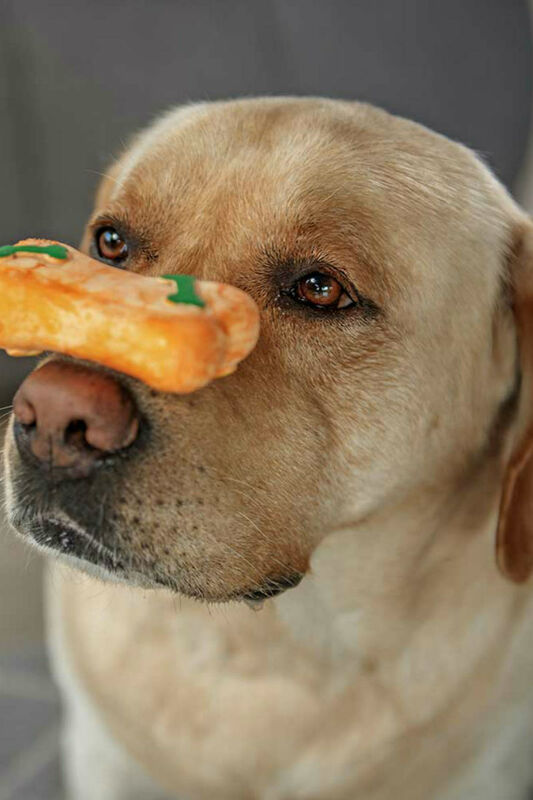 Why not make your dog’s day today and whip up a batch of his favorite treats? Chances are you’ll both be impressed with the results. No doubt you’ve bought your pooch every kind of treat and snack, biscuits included, but has he munched down on homemade peanut butter dog biscuits? If not, there’s no time like the present. We’re going to help you chose some seriously delicious, healthy homemade dog biscuits recipes, including a peanut butter dog biscuit recipe. Of course dog biscuits can’t take the place of a complete and balanced dog food diet, but as treats (and rewards) they are hard to beat. In addition to being an easy to store, inexpensive snack, hard dog biscuits can help keep Fido’s teeth clean and healthy. Before you retreat to the kitchen and fire up the stove, there are a few small things to consider. First, once you’ve decided to make your own dog biscuits, decide what flavors your dog most enjoys. Then, maybe set a budget for dog biscuit ingredients. However, most homemade dog biscuits certainly won’t break the bank. DIY dog biscuits mostly call for flour, liquid and a flavor agent. The last step is the most important: Remember to call your favorite four-legged taste tester into the kitchen with you and put her to work. Although today’s popular homemade dog biscuit recipe assortment calls for some pretty basic ingredients, this wasn’t always the case. Can you imagine whipping up a batch of beetroot and beef blood biscuits? That’s exactly what Englishman James Spratt, considered to be the father of the dog biscuit, used to concoct the very first commercial dog biscuit. The year was 1860 when Spratt patented what he called, “biscuits for dogs.” His simple dog biscuit recipe called for beetroot, wheat, vegetables and beef blood. Yum? I wonder if the dog treat visionary imagined that his clever invention would kick off a movement that eventually led to the dozens of commercial dog biscuit product lines available today. Store-bought dog biscuits are a convenient option, but there are plenty of fantastic reasons to also make dog biscuits at home. When you take control of your dog’s diet, you get to decide what healthy and nutritious ingredients go into his snacks. And knowing that you’re providing your dog with only the best quality ingredients is a great feeling for pet moms and dads. This super easy “Basic dog biscuits” recipe is a good way to get your feet wet in the kitchen. It calls for only five ingredients (bacon is optional.) and is ready in just 30 minutes. If you’re looking for a protein-packed dog biscuit recipe, you can’t go wrong with this “Liver and Cottage Cheese Dog Treat Recipe.” These flavorful biscuits bake for one hour and can be stored up to a whole eight months in the freezer. Next up we have a “Blackberry Biscuit Dog Treats Recipe” that comes directly from the American Kennel Club. Made with fresh blackberries from your local farmer’s market, these biscuits sound like something I’d eat with a tall glass of lemonade. 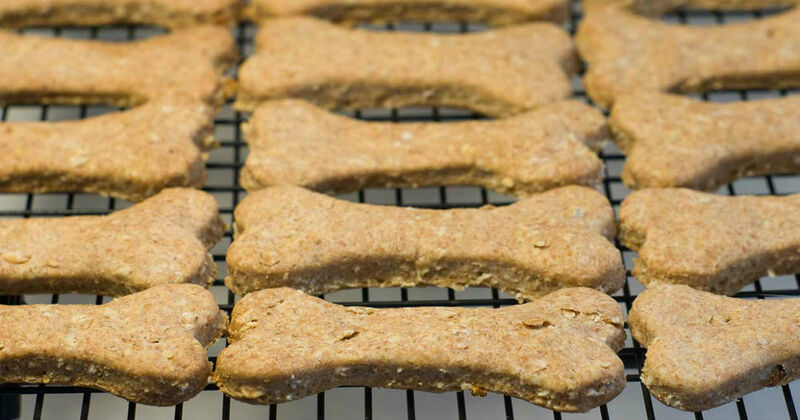 This very wholesome doggie biscuit recipe is made with both flaxseeds and wheat germ. But maybe the best visual is the pictures of the adorable, hungry dogs looking wistfully at their treats as they cool down on the cookie pans. The anticipatory looks on their faces are the best kind of glowing review any cook could hope for. This recipe for “Homemade Dog Biscuits Pumpkin Dog Treat Recipe” contains healthy pumpkin, an ingredient that is increasingly being added to dog food for its rich source of vitamins and minerals. Pumpkin is also used to relieve symptoms of both diarrhea and constipation the natural way. Many commercial dog treats are filled with unhealthy and unnecessary food additives. For example, artificial preservatives extend a product’s shelf life but may cause unwanted allergic reactions. 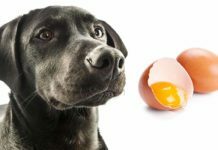 The most common canine food allergens are eggs, corn, beef, chicken, wheat, soy and milk, according to the Merck Vet Manual. It’s also common to find by-products and fillers (check the labels of any treats you might have in the cupboard) in dog biscuits rather than natural, organic or high-quality ingredients. When you make small batches of your own doggie biscuits, there’s no need for extra additives or preservatives, another great reason to tie on an apron and get creative in the kitchen. I don’t know about you, but “Barbecue Chicken flavored Homemade Dog Biscuits” sounds over-the-top yummy. The best part of the process is that these flavorful biscuits can be stored for six months in the freezer and for up to three weeks in the refrigerator. “Gingerbread Bones” may sound like a dessert, but this healthy recipe cuts out the unnecessary sugar and substitutes healthier flavors such as fresh ginger. This sounds like the perfect homemade dog biscuit gift to make and give to other dog lovers during the holidays. I just can’t resist Martha Stewart’s “Homemade Dog Biscuits” recipe. I confess that my own mom was a Martha Stewart fanatic (not to mention a fantastic cook), so I do have a bit of bias in this regard. In addition to providing a tasty, trendy dog biscuit recipe, leave it to Martha to show us how to personalize the treat with our dog’s name. Maybe the best reason to make your own doggie biscuits is that it lets you pick and choose the flavors that your dog likes best, along with ensuring that they meet any dietary restrictions he may have. Does your dog love the taste of peanut butter? Most dogs find the nutty spread irresistible, so it makes sense that a peanut butter dog biscuit would result in a tail-wagging treat that she would bark for nonstop. So, with this in mind, we’ve devoted this entire section to peanut butter homemade dog biscuits. Here is one easy peanut-buttery biscuit recipe to try. And here is another peanut-butter flavored biscuit delight that you can make at home. As an added convenience, the recipe includes some helpful nutritional facts, including that each biscuit contains 61 calories, as well as 3 grams of protein. This super easy recipe calls for just four ingredients, most of which you probably already have on hand. Tip: The recipe calls for rolled oats, which is the same as old-fashioned oats. This super-delicious looking recipe with the winning name “Best of Breed Dog Biscuits” has not only peanut butter but fresh herbs, an interesting combination. 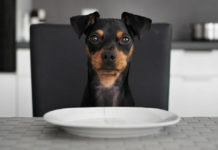 Many families eat a gluten-free diet and would love to provide the same to their animals. If you’re in this camp, we’ve found a wonderful gluten-free dog biscuit recipe. As an added bonus, the simple recipe includes a bit of yummy, dog-approved peanut butter. When preparing homemade dog treats, make sure you take into account any allergies that your pet has to specific ingredients. You will want to avoid adding any ingredient that you suspect that your pet has reacted poorly to in the past. 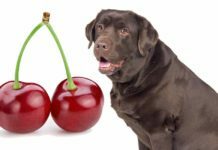 If you are experimenting with new flavors, only feed a small amount of the treat to your dog to see how she reacts to it before giving him an entire treat. Most homemade dog biscuits can be stored in an airtight container and placed in the freezer for later. Allow the treat to thaw for 10 to 20 minutes prior to serving to your dog. As a general rule, homemade dog biscuits can last for up to four weeks in the freezer. This commercial recipe for homemade dog biscuits is made with flax and oat, and was created with veterinary input and advice. The product is a terrific vegetarian option for dogs. This is an all-natural (as well as sugar free) mix that can be used to make everyday treats or for any special doggie occasion. It is made in the U.S. and contains 11 ounces of homemade dog biscuits mix. Making homemade dog biscuits will be easy-peasy when you use this jarred mix to create the dog biscuits. Simply add oil and water to the ingredients; one jar of mix makes over two dozen treats. As an added bonus, you can re-use the durable jar for future snacks. The all-natural recipe contains zero wheat, corn or preservatives. If you’d like to decorate your homemade dog biscuits, why not do so with a bit of tasty, doggie icing? This product is both gluten and dairy free, and creates a shiny-smooth white finish that is the perfect topping for any treat. Does your dog appreciate the finer things in life? If you have a discerning doggie with a refined sense of style, doesn’t he deserve a biscuit that looks like a masterpiece? This dog bone cookie cutter set features five different sizes, each made from tin-plated steel. They are certified food safe and perfect for use with your favorite homemade dog biscuits recipe. 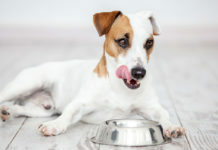 Since we’re on the subject of delicious homemade dog biscuits, now is an excellent time to review some of the ingredients that you’ll definitely want to avoid feeding your dog. 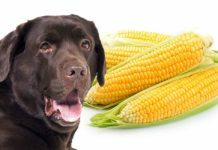 Many of the ingredients that we humans eat every day without any problem can have serious consequences if ingested by your pooch. The list includes common items such as certain fruits and even some spices. Although these everyday substances are fine for human consumption, they have the potential to make your pooch sick or cause a serious illness. We hope that you enjoyed our collection of homemade dog biscuits recipes. We think that there is nothing better than a DIY doggie biscuit made with heaps of love, something that your dog will no doubt be happy to confirm. Do you have a favorite doggie biscuit recipe that you’d like to recommend? We’d love to hear about it, so drop us a line in the comment section below. 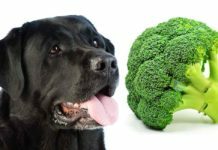 Can Dogs Eat Broccoli – Is It Okay To Share This Veg With Your Dog? 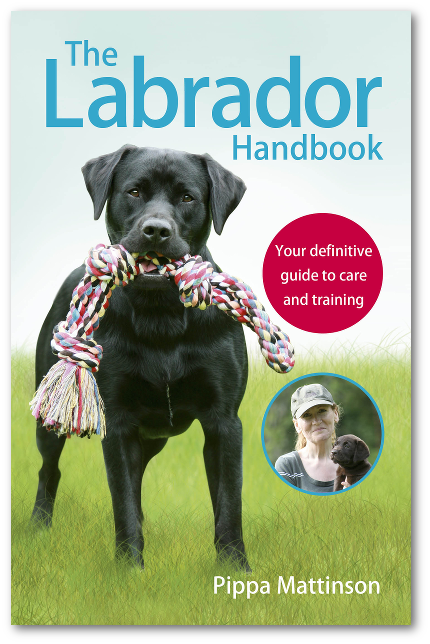 Brilliant information ,i will be starting making my own dog biscuits ,i am a retired chef so i know how to make them ,funnely enough i have never thought of it before and as a pensioner its saves so much money over 12 months, great fantastic Thankyou .